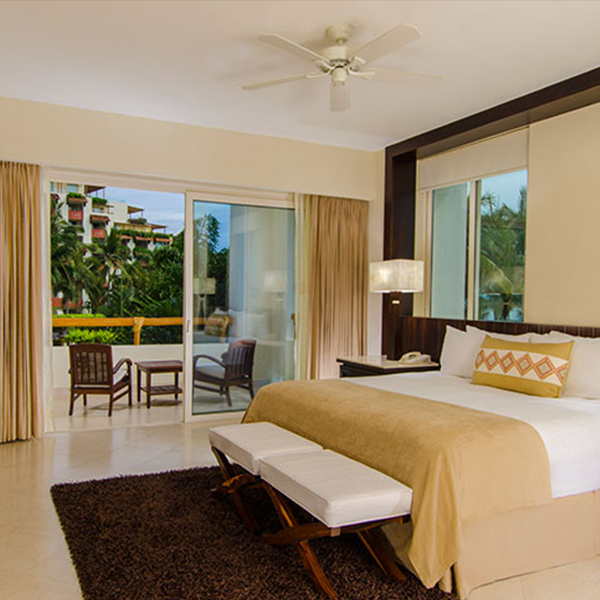 Indulge in sumptuous luxury in this one-bedroom suite, where we invite you to enjoy spacious separate living areas and the resort's delicious cuisine in your own dining space with private bar. 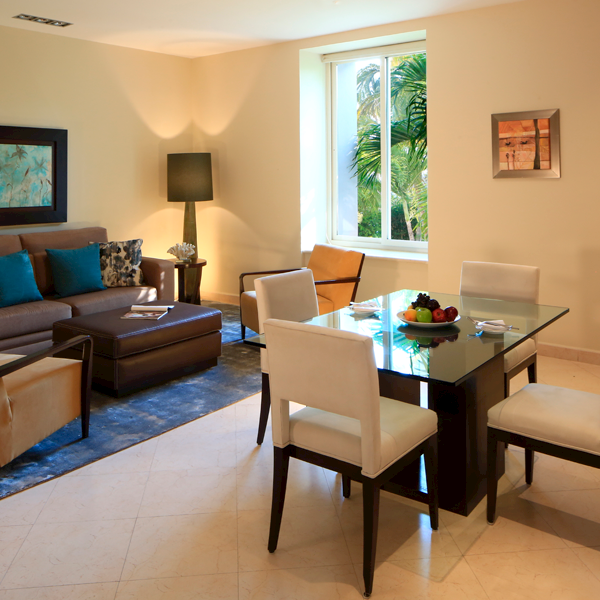 You'll spend hours lounging on the terrace, surrounded by views of the lush gardens, pool and Bay of Banderas. 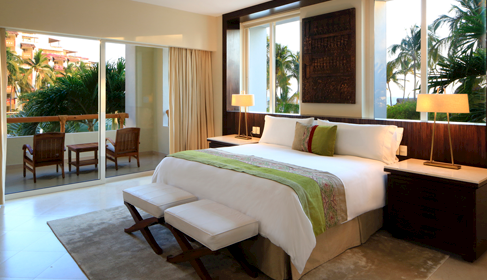 Enjoy a peaceful night's sleep with queen or king beds, white goose down comforters and our signature Pillow Menu. 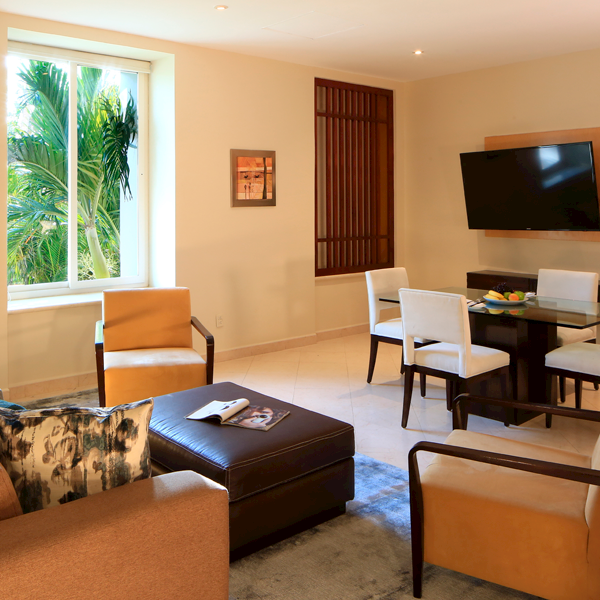 Relax in the spacious living area with a mini-bar, sofa and flat-screen TV, then step out onto the private terrace that overlooks the Pool.